Σχεδιασμένο για ταξίδια τόσο επαγγελματικά όσο και διασκέδασης, το Adang Resort είναι ιδανικά τοποθετημένο στη Κο Αντάνγκ, μια από τις διασημότερες περιοχές της πόλης. Από εδώ, οι επισκέπτες μπορούν να έχουν άμεση πρόσβαση σε όλα όσα η πόλη έχει να προσφέρει. Με την βολική του τοποθεσία, το ξενοδοχείο προσφέρει εύκολη πρόσβαση στους προορισμούς της πόλης που πρέπει οπωσδήποτε να δείτε. Το Adang Resort προσφέρει άψογη εξυπηρέτηση και όλες τις βασικές ανέσεις στους ενθουσιώδεις ταξιδιώτες. Κορυφαία χαρακτηριστικά του ξενοδοχείου συμπεριλαμβάνουν τα υπηρεσία εισιτηρίου, αυτόματο πλυντήριο, ασύρματη σύνδεση Wi-Fi σε δημόσιους χώρους, εστιατόριο, ξεναγήσεις. Το Adang Resort διαθέτει 54 δωμάτια. Όλα τους είναι διακοσμημένα με γούστο και πολλά από αυτά παρέχουν ανέσεις όπως κλιματισμός, υπηρεσία αφύπνισης, μπαλκόνι/αίθριο, ανεμιστήρας, πρόσβαση στο executive lounge. Οι ιδιωτική παραλία, εξωτερική πισίνα, καταδύσεις, σολάριουμ, παιδική πισίνα του ξενοδοχείου είναι τα ιδανικά μέρη για να χαλαρώσετε και να ηρεμήσετε μετά από μια πολυάσχολη μέρα. Όποιος κι αν είναι ο σκοπός της επίσκεψης σας στη Κόχ Λίπε, το Adang Resort είναι μια εξαιρετική επιλογή για μια χαρούμενη και συναρπαστική απόδραση. Το επιπλέον κρεβάτι είναι στρώμα και υπόκειται στη διαθεσιμότητα. Free kayaks, friendly staff, movies on whiteboard on the beach, nice hike to the viewpoint to see overcrowded Koh Lipe, free taxis on certain times to Koh Lipe - though if you see their red long tail boats just hail one, they might take you on undesignated times! No fridge in the room was the only let down as having a cool water in the morning is not always an option. Luckily they sell them at the bar/kitchen area. Poor wifi, restaurant food could be improved as well. Two of my friends and I stayed here over Christmas. One of my friends had a minor incident which required medical attention. The staff were overly kind and helpful. They immediately brought us over to Koh Lipe via boat and personally brought us straight to the hospital. The location is somewhat inconvenient if you are looking to do stuff mainly on Koh Lipe. But the hotel provides a free long tail boat over to Koh Lipe several times per day. Wonderful beach and pool! We got a pleasant surprise expecting food and drink to be expensive to balance what we paid. However everything was great and as others say the friendly staff make the place. This is a great little private resort for relaxing. We booked two days but stayed three. Koh Adang is wonderful. Will come back here. Not five star but great value. The location and beach are superb and the staff are great. This is a very private island resort offering peace and tranquility. Free long tail boats shuttle to Koh Lipe but we used them little prefering to stay on Koh Adang. We will visit again. The staff deserves 5 star rating with their exceptional friendly and kind services. With limited English communication capability, they do their best to get things done. Simple and pleasant stay. The room is clean and simple. The pool is clean and "friendly". You can kayak anytime for free. Snorkeling near the hotel's beach and you can find some colorful fishes and coral. Swim, Snorkeling, and Kayak anytime when you like. Free hotel boat connecting to Ko Lipe is great, the boat schedule is well timed. 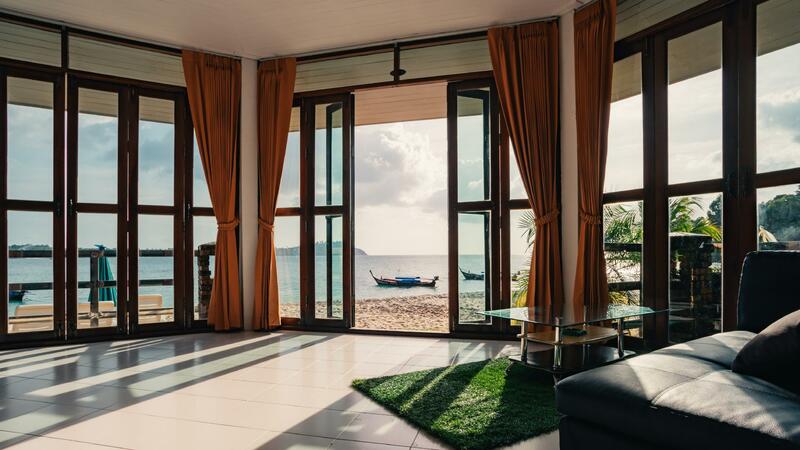 Overall, it is a good hotel and location for people who like a relax, friendly (the long lost human charm), clean, simple, and secluded holiday. Great for family with young kids too. Good job! Keep it up! Very comfortable room, affordable price, prefect location, friendly & helpful staff, free water sport equipments, food at restaurant was great - cheaper than most restaurants in Koh Lipe. Definitely coming back! we've taken numerous holidays, and this was one of the better ones. the staff went out of their way to make our trip run smoothly, the location was unbeatable, the rooms were immaculate. wifi was a bit unreliable, but only a fraction of the time. mostly it was fine. even enough to watch netflix while getting ready! haha the nightly movies on the beach were a nice, unexpected benefit. there was more then enough to keep us both occupied the entire 10 days we were there. at no time were we bored or feeling ill at ease. the pool was kept perfectly clean. every morning they completely scrubbed it and constantly checked the chemical levels to keep it at optimum enjoyable levels. we will definitely return. probably not soon, but it will happen! thanks to the entire staff, from the boat crew, waiters/waitresses, my new 'best friend' who did out laundry, reception staff and kitchen workers. you made it a wonderful christmas/new year's holiday!! This is the best hotel I’ve ever been. National park, jungle and only one place to sleep - Adang Island Resort. Very good and clean rooms, beautiful beach, swimming pool and the best staff. Highly recommend for everyone. Great place, great food, lovely helpful staff. Very secluded and quiet. Pool is fab! Free use of kayaks, fins, snorkel, mask etc. House reef but little disappointed with lack of marine life. Rooms are clean, hot shower, AC and comfy big bed. Love it and will be back again. I stayed at this hotel in Jan 2019. Pros: Spacious and clean rooms, serenity, kayak and snorkelling facilities, very helpful staff. Cons: No shadow at beach, sand is not so nice, beach is not as nice as Lipe beaches, breakfast is not satisfying, transport problems because of low tide. Hotel has shuttle boat to and from Lipe, but times change everyday because of tide. When it’s low tide, they need to wait till water comes back. So, it may be stresfull to catch your Pakbara transport from Lipe, if you fly at the day you check out. We enjoyed our stay on Adang. The resort is well equipped, the rooms are confortable as well as the AC that has a quiet mode. The beach in front is nice. The only two downside are the food which isn't the best we had in Thailand and the boat taxi transfer from lipe to adang can sometimes be scary if the sea is agitated. But nothing to worrie about as the taxiboat drivers are experimented. The hotel staff is amazing and we enjoyed our stay in this hotel. It's amazing to end your day on a quiet and secluded resort because Lipe can be very noisy at night. Not worth the hassle! Stay on Lipe unless you want to get stuck in a void. Hotel posts a notice stating times to ferry off/on the island. However when we tried to go to Lipe at the 4pm posted time, the hotel told us we had to find our own way back, notwithstanding the fact they post an 8:30pm return boat. Reason stated: “low tide”. Tides are predictable, therefore: 1) Why not update guests on ferry times so they can plan around it? 2) Why not arrange an alternative time to pick up around low tide? 3) When questioned how they proposed we return to our room, hotel staff shrugged and told us to hire a private boat. If a private longtail boat can access the island at low tide, why can’t they? There were 12 guests wanting to go to Lipe on the 4pm ferry. ALL of us couldn’t have “misunderstood”. The attitude staff took was appalling. 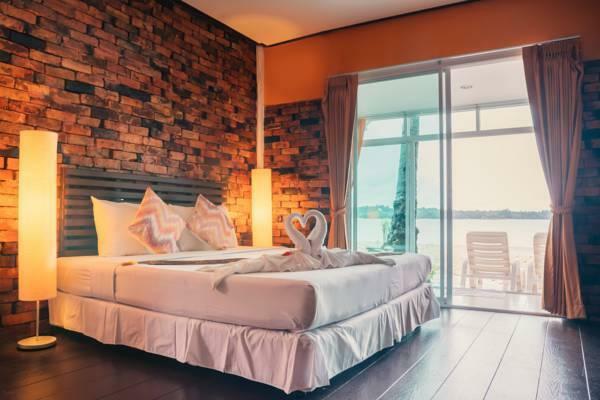 We packed our bags, forefitted our night, and found a cute place on Lipe for $50 close to lots of fun things to do, see and eat and more beautiful beaches. I really enjoyed how few people were here - that was my goal to have a getaway from the crowds. I felt like there was lots to do from kayaking and snorkelling to treks and the food was really good too. Very impressed. The room wasn’t as luxurious as I thought and really felt it needed a fridge but it was still really good and I was still really happy with my stay. Koh Adang Resort...beyond my expectations. The place, the price, the staff. Me & my wife were speechless with all those things. This place is great for couples & family. Kayak? Free. Snorkeling nearby resort? Free. Transfer (Lipe-Adang-Lipe)? Free. Swimming pool & open air library available all the time. Trekking, hiking & small waterfall? Just behind the resort. Their foods were great too (for me & my wife) with great price. Oh, they do have "movie time" around 7pm while enjoying your dinner at the restaurant. The front office guy, Mr. Clark once told us, "Feel free to do anything here, like your own place". Thank you Koh Adang Resort. Made our honeymoon UNFORGETABLE. We stayed at the classic garden room, no. 107. The room is spacious with the extended balcony. Inside the room, there has got air-conditioning, hot-shower, hot kettle, instant coffee, and bottles of water, which all we need . Really nice room style with rustic architecture. Under the price of 90 USD/night. This is much more worth than staying in Koh Lipe.